Searching for an introduction to the shadowy, intriguing world of early 20th century gay-themed fiction? In Lost Gay Novels, respected pop culture historian Anthony Slide resurrects fifty early 20th century American novels with gay themes or characters and discusses them in carefully researched, engaging prose. Each entry offers you a detailed discussion of plot and characters, a summary of contemporary critical reception, and biographical information on the often-obscure writer. In Lost Gay Novels, another aspect of gay life and society is, in the words the author, “uncloseted,” providing you with an absorbing glimpse into the world of these nearly forgotten books. gay themes in novels published between 1917 and 1950—with entries from nearly every year! 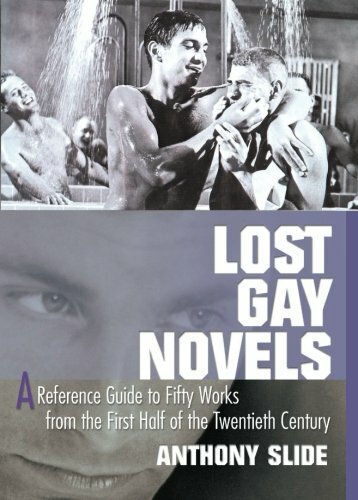 If you're interested in gay studies or history, or even if you're just looking for a comprehensive guide to titles you've probably never heard of before, Lost Gay Novels will be a welcome addition to your collection. The introduction from author Slide—called by the Los Angeles Times “a one-man publishing phenomenon”—provides you with an overview to the basics of this landmark collection. Themes found in many of the titles include death, secrecy, and living a double life, and in reading the entries you will discover just why these themes are so common. As Slide says in his introduction: “The approach of the novelist toward homosexuality may not always be a positive one… but the works are important to an understanding of contemporary attitudes toward gay men and gay society.” Lost Gay Novels will help you further your own understanding of the dynamic relationship between literature and culture, and you will finish the book with a greater appreciation of modern American gay fiction.